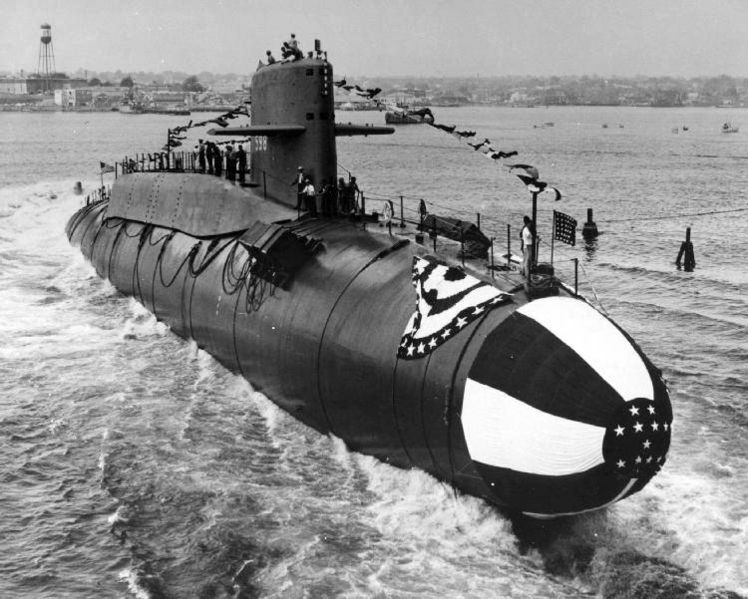 On June 9, 1959, the first nuclear-powered, ballistic-missile submarine, the USS George Washington (SSBN 598), was launched at Groton. The George Washington was originally scheduled to become the USS Scorpion, but during her construction she was lengthened by the insertion of a 130-foot missile section and finished as a fleet ballistic-missile submarine. The George Washington was commissioned into service in December 1959 and the United States became a force to reckon with—a country with enormous nuclear firepower. In the early 1980s the George Washington had her missile removed and was reclassified as an attack submarine before finally being decommissioned several years later.